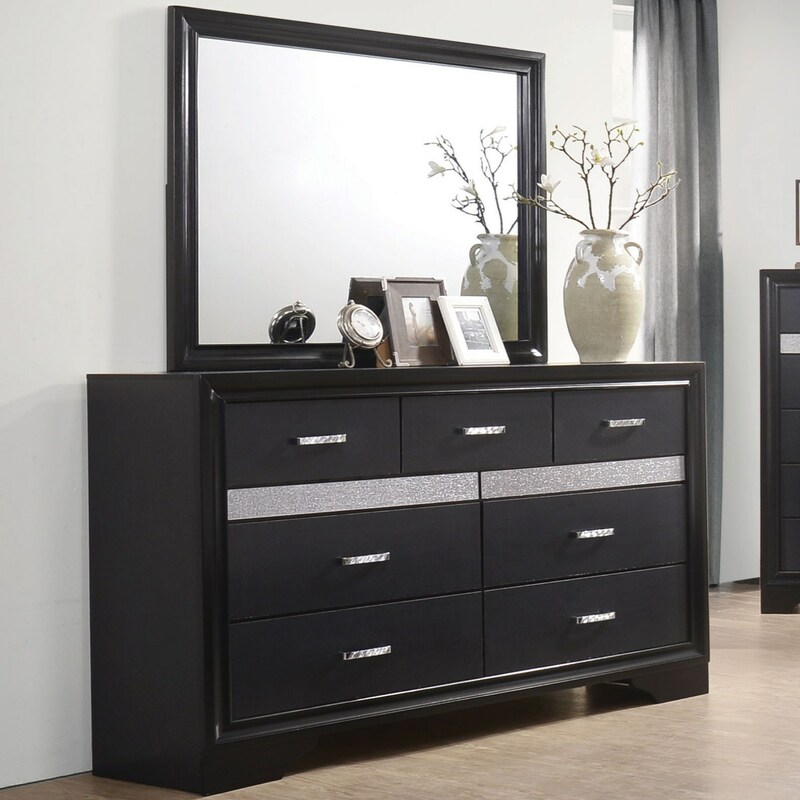 This beautiful dresser and mirror set adds glamorous design to your home. 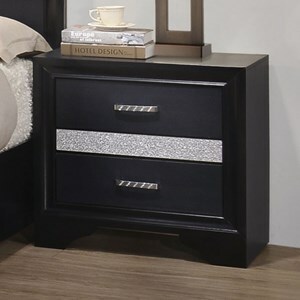 Featuring seven English dovetail drawers with kenlin center glides, the dresser includes a hidden drawer with a felt-lined jewelry tray. 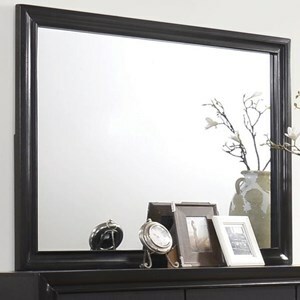 The matching mirror includes a wooden frame for added affect and makes this set a must have for your modern home. The Miranda 7 Drawer Dresser & Mirror with Wood Frame by Coaster at Value City Furniture in the New Jersey, NJ, Staten Island, Hoboken area. Product availability may vary. Contact us for the most current availability on this product. Finish & Paint Options White Or Black finish. Handles & Hardware Rhinestone pull handles. Drawer / Shelf Construction English dovetail. Drawer Suspension Kenlin center glides. Case Construction Asian hardwood and 3D foil paper veneer. The Miranda collection presents glamorous furnishings for your modern home. 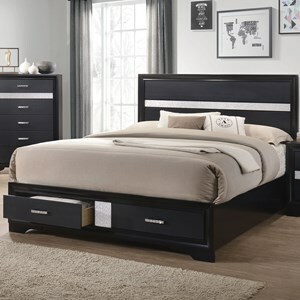 Showcasing fabulous design, the collection features English dovetail drawers with kenlin center glides, hidden drawers with felt-lined jewelry trays, and footboard storage to accommodate all your bedroom needs in exceptional style. 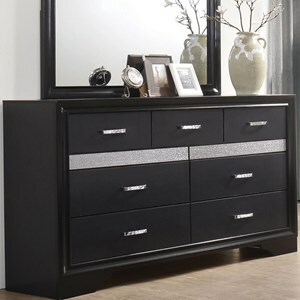 All completed with rhinestone hardware, the Miranda collection will transform your home's style. The Miranda collection is a great option if you are looking for Glam furniture in the New Jersey, NJ, Staten Island, Hoboken area.